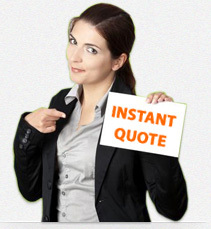 Our customers neither have to email nor call us to obtain a quote or delivery time. Created by a team of bright and talented minds, our user-friendly price calculator is the product of plenty of hard work. Designed to make life easy for our customers and saving them a lot of time, this tool is definitely worth all the effort. Customers only have to upload or copy/paste their text into our innovative price calculator to get a fixed price and delivery estimate. Clevoo will assist you in all your translation projects; be it for your website or your Power Point presentations.